Should you go from the beach or by boat ? The ones you get for rent especially on boat trips (there’s more to choose from in dive schools/shops) are more often than not quite substandard. Water can leak into the mask causing problems. If your face is bigger than normal or smaller, the mask can be ill fitting and can mar the experience. Having your own gear can take care of these problems. If you wear glasses, you can even get yourself prescription snorkel masks which can help you make the most of your dive. The other issue was that the boat only carried standard sized flippers. The best way to avoid such inconvenience is to carry your own. Entering the water from the beach is simpler for beginners. But that’s not always true. We went from the beach on Gili Air and unfortunately that day the sea was a bit on the rough side. Shruti who was trying to snorkel for the first time, had quite a terrifying experience. Water went up her snorkel and she ingested a fair bit of the salty sea water. The second time around we went by boat to the gorgeous Taka Makassar in Flores by boat. The sea was calm with hardly any undercurrent. The first experience had made her cautious but she went anyway and was pleasantly surprised to see how amazing the experience was when the waves and undercurrent were not strong. As long as the sea is calm, we would say that either of them is fine. Whether you are experienced or a beginner, whether you have your own gear or rental, if that’s the first time you are using it, don’t forget to try it out! Try your gear out in shallow water and ensure that there’s no leaks and is comfortably seated on your face. Confident enough? Time to hit the water! We were very lucky to try out snorkelling with Simon from Feet Do Travel, who is an expert on Gili Air. 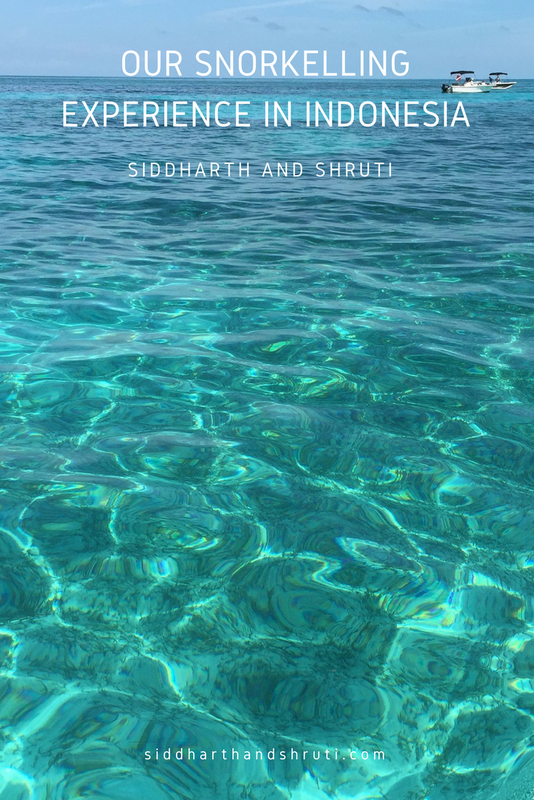 Even though Shruti was unsuccessful thanks to the choppy sea, Siddharth went along with Simon and experienced the abundant marine life and coral formations firsthand. 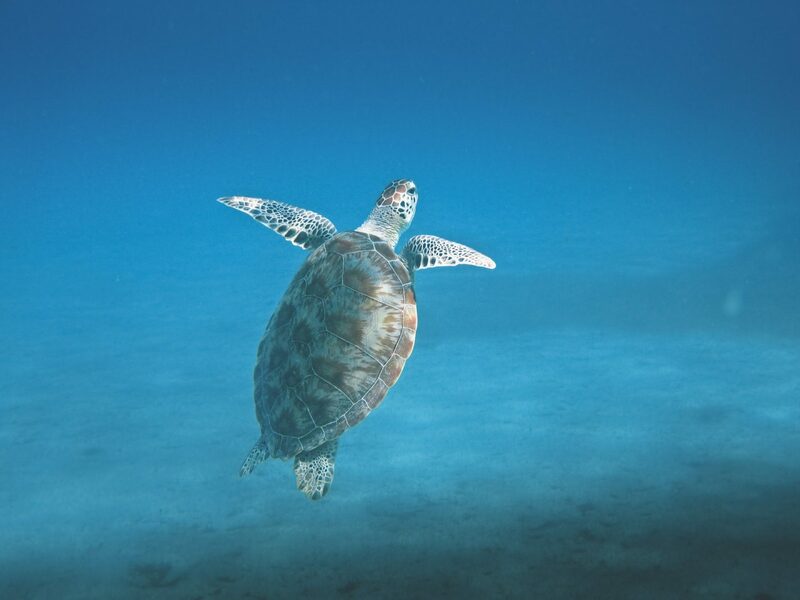 We do regret not snorkelling on Gili Meno which is well known for turtles! One of the easiest islands to reach from Bali by boat, the Gilis are a great option for anyone who loves snorkelling or diving. If you don’t have the time to step out of Bali, head to north Bali and within the confines of Bali Barat National Park, you will find the island of Menjangan. It is a peaceful paradise with white sand beaches and a hot spring. North Bali is fantastic if you are looking to get away from the crowded Ubud or Kuta. We would definitely recommend north Bali for honeymooners. We went on a one day boat trip in Flores to Komodo national park, Padar Island, Taka Makassar pink beach and Kanawa Island. Kanawa Island is a fantastic place for observing marine life. The sea was calm and we entered by the beach. We met nemo swam around corals, starfishes, and one of our group member even saw a shark. Very easy to swim in, Kanawa island is a great option for beginners. There is only one resort currently on Kanawa Island if you want to stay back. But reading the reviews, we are quite glad we only visited and not stayed there. Other than these you can also try Banda Islands, Raja Ampat, Wakatobi in Sulawesi, Togean Islands, Nglambor Beach in Yogyakarta and Karimunjawa Islands. 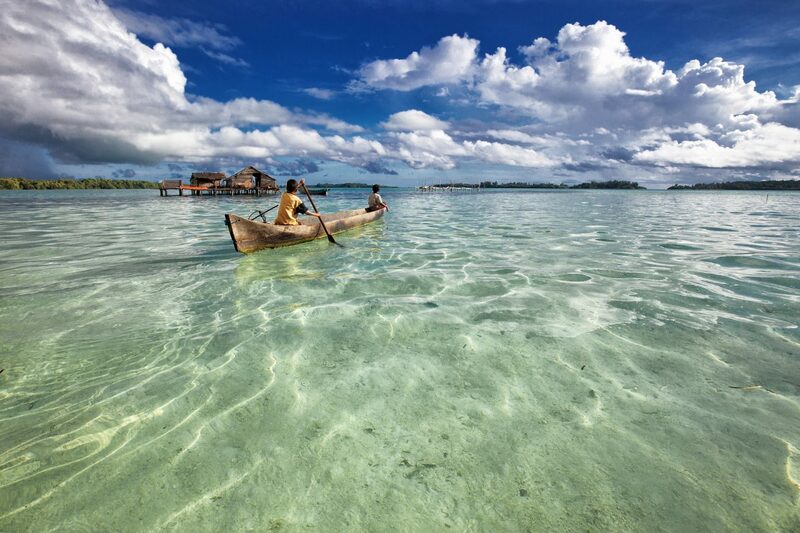 No matter which part of Indonesia you visit, we can bet that you will have a snorkelling spot around. 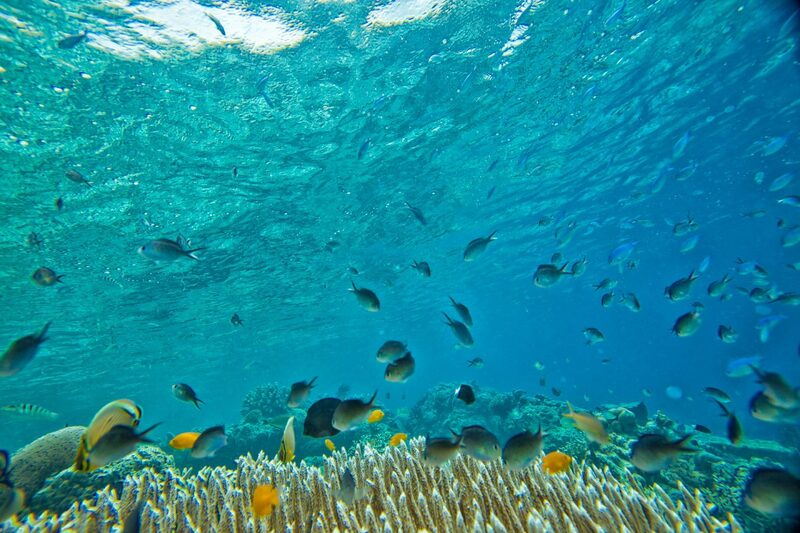 Do you love snorkelling as much as we do? Where did you go? What kind of gear do you use? What challenges did you face? Let’s chat below in the comments section. Previous Post Top 5 Hotel Tips for South East Asia (SEA) Travelers — Plus Deals! Snorkeling is one of the most amazing underwater game that most of people like to enjoy but as it’s underwater sports so little difficult but as you shared your Snorkeling experience in Indonesia looks really interesting. Great post! I am a big SCUBA diver and I’ve never been to Indonesia. It’s on my bucket list. Thanks! The photographs are truly magical. Such a rich marine life! Did you see many corals? Thanks for the great tips. I’m sorry you didn’t have an enjoyable experience, Shruti. My gosh your photos!!! When we snorkled in Indonesia we forgot our GoPro!!! How sad!!! But I’ll iust live through yours!! Love that shot of the turtle! Snorkelling in Indonesia is on my bucket list for sure! Snorkelling is so great and we did try doing it in Maldives and Trust me , It was such an amazing experience. Great post. Thanks for sharing. I loved your photographs specially the first one, with those white clouds. Snorkeling in Indonesia looks like an amazing experience. You have listed all valid points before heading to snorkeling. Best tip of all and the most important one — bring your own gear. 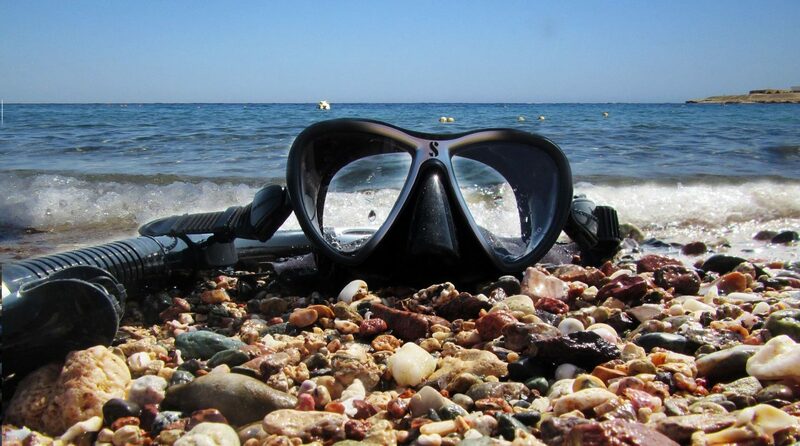 Rented snorkeling gear almost anywhere in the world is substandard and even if it is good, there is no guarantee the masks will be of a size that will appropriately fit your face. If you are wanting a good snorkel experience, own your own mask and snorkel at the very least. LOVE your photographs. I’ve snorkeled off the coast of Africa, around Fiji, the reefs off New Caledonia, and all over the east and west coast of the US, but Indonesia looks amazing! The islands of Indonesia are a haven for snorkeling. Snorkeling is such a divine experience when it happens right. The fascinating underwater world comes alive. I think you make a valid point about using your own gear to avoid the vagaries of ill-fitting, borrowed gear. Never made it to Indonesia yet. The water looks unbelievably clear! 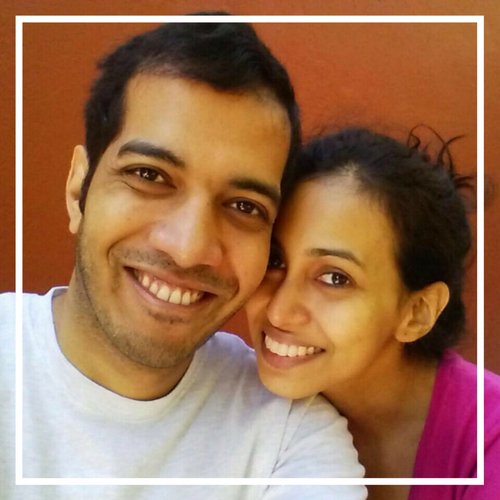 We are two nerdy souls who are either wandering the world or playing video games in their pyjamas. Welcome to our life in co-op mode. More about us here.